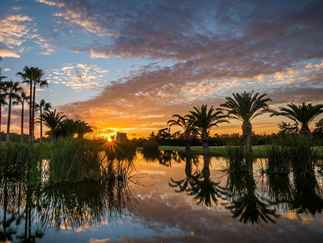 Mallorca counts with more than 20 spectacular golf courses distributed throughout the island. Among all of them, we want to describe some of the best courses in Mallorca. For making your transfers Golf Palma it is important to know how to get there. The golf transfers Palma with the archipelago Majorca is just two hours by plane from the main European cities. The Son Joan airport in Palma de Mallorca is one of the biggest and with most connections airport in Europe. There are also maritime lines that link the island with other destinations of the Mediterranean coast, such as Barcelona, Valencia, or Alicante. Every year, almost 13 million tourists choose Majorca to spend their holidays there. Transfer golf can also be done by contacting the hotel you will stay, and go straight to the golf course you choose. Most of the hotels on the island offer a transportation service that takes you to the field and going back to the hotel. If your plan is going to the course from the airport, taxis, private transfer, shuttles, or car rental are the options you have once your aircraft or ship arrive to Majorca. The transfers golf Palma should be done without any difficulty because of the transportation options you have. Transfers Alcanada Golf - Distance: 6499 m. Par: 72. 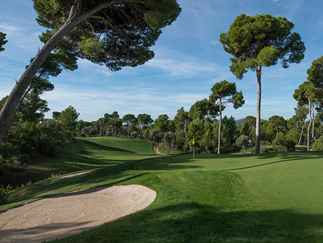 Due to its neat design and an exceptional quality, Alcanada Golf Course is considered by many as one of the best golf courses in Spain and in Europe, located to the north of Mallorca. It offers a field perfectly integrated with the typical Majorcan environment of pine trees and olives. From 17 out of its 18 holes, you can see a beautiful sea sight. That is why the wind is one of the key factors at the time of choosing the playing strategy. Transfers Golf Son Gual As the Alcanada, the golf course Son Gual is one of the best courses on the island, very wide and generous. It counts with numbers of obstacles, strategically situated that offer one of the best games you can ever experience in your life. Golf Santa Ponça - Distance: 5660 m. Par: 70. 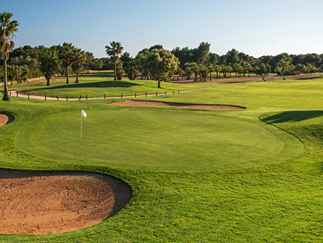 This is one of the most popular golf courses in Majorca. It is located in a valley surrounded by the mountain. 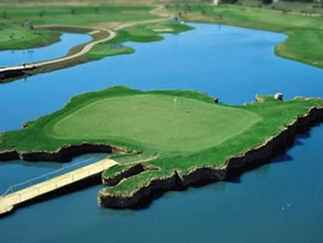 Its greens are perfectly protected by lakes and bunkers. It requires a strategy to get a great result. It also offers spectacular views at the Palma Bay, Cabrera Island and the Bendinat castle. Golf Poniente - Distance: 6430 m. Par: 72. 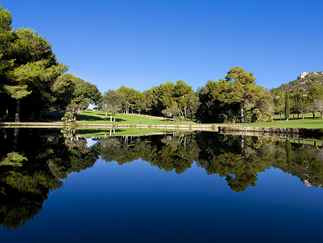 Poniente is a very complete golf course that combines perfectly with wooden zones, lakes, plain lands, and fast green. It 10th hole receives a special admiration by many players who say that most of the time, when you play there, it always looks different. Canyamel Golf Club - Located at the northeast of the island, this beautiful field is distinguished from others because is one of the most peculiar golf course in the island. His architect and designer José Gancedo respected and preserved almost all the natural environment. 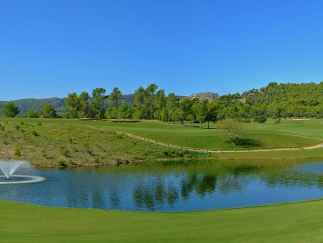 Son Antem Golf Club West - It is located in the heart of the Majorcan landscape among olives and almond trees. 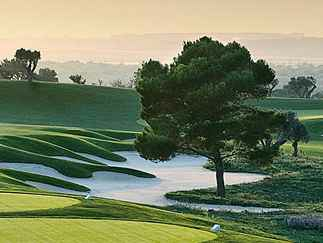 Golf Son Antem West is only 20 minutes from Palma and its airport. 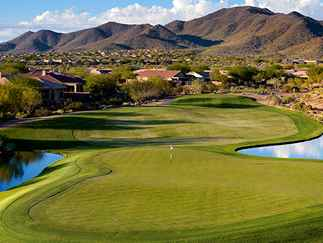 This wonderful course will accomplish all your expectations referring to playing golf. Son Antem Golf Club East - This fantastic golf course is located on the old hunting lands. Its travel offers a wide variety. It was designed to allow even amateurs enjoy their first contact with golf. Golf Son Quint is the newest golf course in the island. It was inaugurated in 2007 this large travel has an open design that allows a very aggressive game, as well as enjoying good matches either for amateurs or just people who likes to enjoy this exciting game. Son Servera Golf club is the second oldest golf course in Mallorca. It is located near of the mountains with a marvelous view to the bay. Either experienced and amateurs players will enjoy this course and its surrounding. The Majorcan summer is plagued of sports competitions and social events that make them being the perfect match due to the good weather and the natural environment. That is definitely the perfect excuse to have a great time! More than a hundred competitions are scheduled during summertime between June and October. Something that confirms golf as one of the summer sports discipline in Mallorca. Due to the weather and its surroundings, more than 300 days of sun during the whole year turns Majorca in an ideal destination to do everything you want during the year. The geographical setting on the Mediterranean Sea, Mallorca has a nice and soft weather during the season. 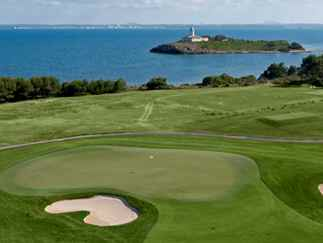 Play golf with a great sea view like the Tramontane range is possible in the island.